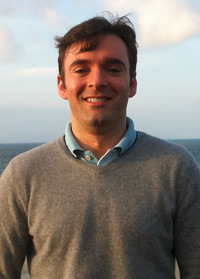 John Curtin, Ph.D is a Lecturer in Functional Genomics at the University of Manchester where he works with a large team studying the development of asthma in a birth cohort. This group has received data on study subjects periodically for over a decade including before birth. Given how much data there is, data management is a big deal to Dr. Curtin. The study is called the Manchester Asthma and Allergy Study (MAAS) and was started in 1996 at the University of Manchester "to identify risk factors for the development of asthma and allergies." The study has nearly 1,000 participants and follows up every few years. The pervasiveness and impact of asthma and allergies is extensive. In the United Kingdom alone, over 5 million people currently receive treatment for asthma, and over 34 million individuals in the United States have been diagnosed with asthma (American Lung Association). Worldwide, approximately 250,000 deaths are attributed to asthma yearly. Over a billion pounds a year is spent on asthma in the UK and almost 15 billion dollars in the US. Dr. Curtin explains why they are studying asthma and allergies in children: "A lot of people get symptoms of asthma, allergies, and eczema very early in life. But it goes away over time. What you're really interested in are the people for whom asthma and allergies persist into adulthood. If we could identify which children will grow out of their symptoms and which ones will persist, we can divert resources to the latter." "Clinicians want to be able to explain to parents who see their child wheezing whether or not their child is going to grow out of the disease." To answer that question, Dr. Curtin has been conducting genome-wide association studies to uncover the genetic variation(s) that may underlie the risk and development of asthma and its intermediate phenotypes. Curtin began analyzing the MAAS data when he joined the University of Manchester in 2006. To perform the analyses, he and his team use SNP & Variation Suite (SVS). Curtin continues: "After imputing, we have quite a large dataset (3-6 million SNPs per sample) that we are currently analyzing. The Golden Helix platform is particularly useful in just managing the data. We are biologists, not biostatisticians. SVS allows us to effectively handle that data and get it into a format where we are able to do the analysis." Quality control is also very important. The MAAS team gave prudent consideration to study design and carefully randomized sample processing with regard to phenotype status. Once they had the GWAS data, SVS gave Curtin an easy way to perform the majority of the quality assurance steps necessary for his study. Beyond data management and quality control, Curtin cites that the SVS customer support he receives is vital. "If you have particular questions, Golden Helix's support staff responds very quickly." Customer support goes into the equation when calculating the value that SVS brings the University of Manchester. "We have a couple of licenses which cost several thousand pounds. If we didn't have SVS, we would need a biostatistician which is $40,000 or $50,000 a year. So in that respect, SVS is quite useful because it's both the software and support that you get." Dr. Curtin concludes: "Basically SVS is just easy to use. That's sometimes underrated, but it's important. Frankly, you could spend forever learning how to use open-source tools."